It doesn’t matter who you are, you have an opinion on KISS. Or more realistically, you have an opinion on Gene Simmons. The group and the man are undoubtedly rock legends, but both can come off as cheesy and/or abrasive. I’m not a big fan, but I can appreciate the work they’ve done. With the exception of KISS: Psycho Circus. From what little I’ve played, it’s a gothic first-person shooter with bad controls and little narrative direction. It’s based on the comic book series Todd McFarlane concocted with Gene Simmons. Beyond the requisite amount of time I played to check it out, I haven’t touched it. I’d like to give it a fair shake sometime down the road, but then again, maybe not. 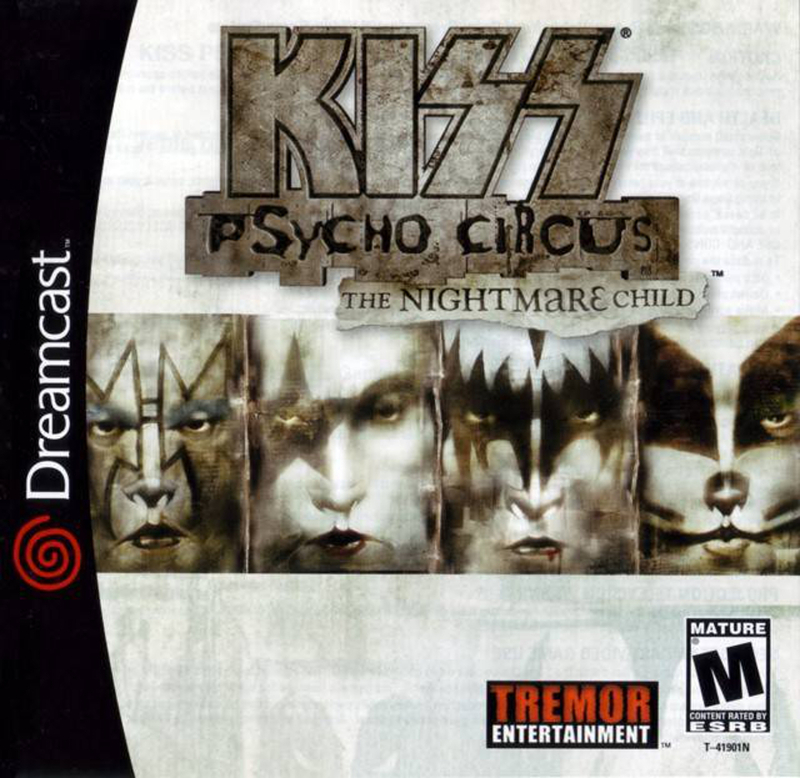 KISS: Psycho Circus was originally developed by Third Law Interactive – a team of former Ion Storm employees – and released on the PC in North America on July 18, 2000. 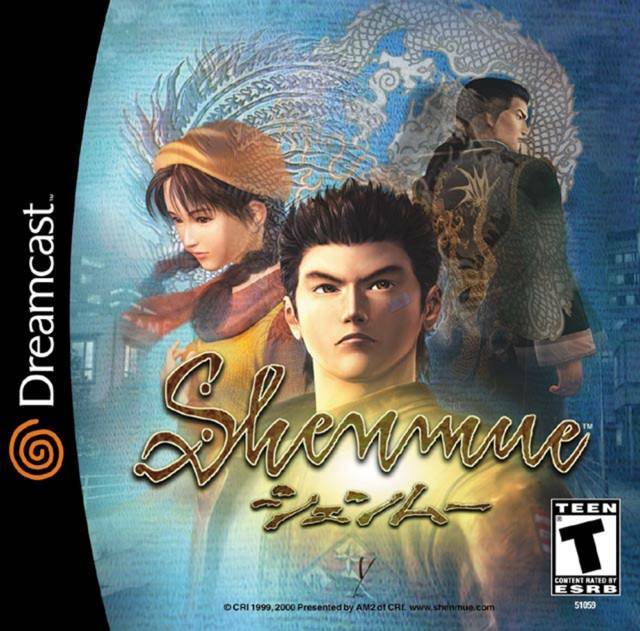 The Dreamcast port was handled by Tremor Entertainment and it was published on October 29, 2000 by Take-Two Interactive. Both developers seemed to flounder within a few years, neither putting out anything truly notable. Charge 'N Blast is a pretty obscure game considering it was developed by Sega, I mean it doesn't even have a Wikipedia page! 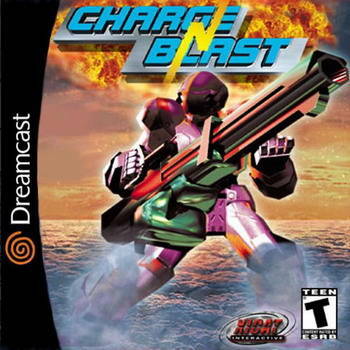 After playing a little bit of Mars Matrix my friend and I moved onto another arcade port for the Dreamcast, Charge ‘N Blast. 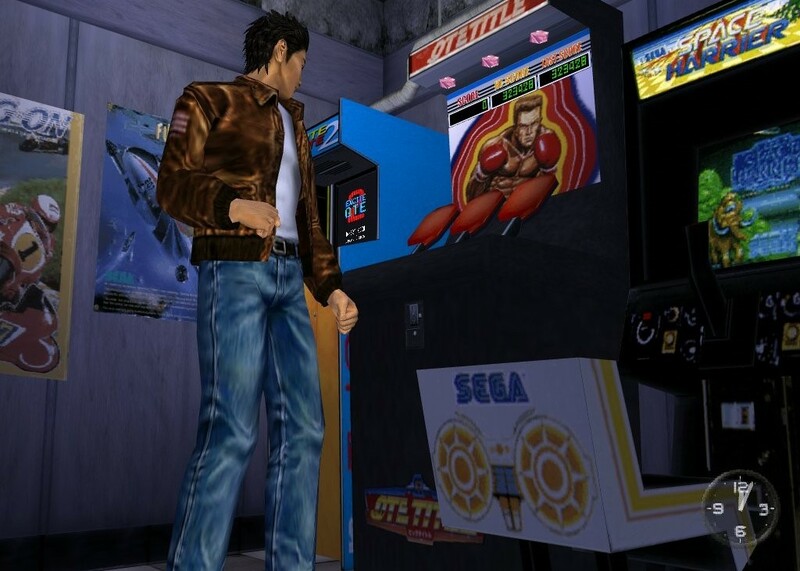 Originally developed by Sega, it was published for the Dreamcast in 2001 by Xicat Interactive. We played through a few stages of the game and grew tired of it fast. We viewed our characters from behind their backs at all times, always having tunnel vision. But then again, all the action was directly in front of us too. Enemies advanced towards our characters, which were locked onto a horizontal plane. The only movement we could muster out of them was a strafe, shifting them to the left or right, which we had to do often to dodge enemies. 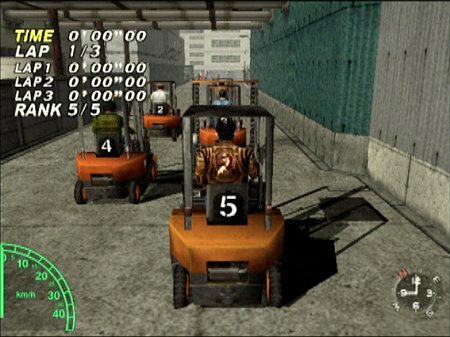 Notice the green track, highlighting the area of movement for the character. There were three characters we could pick from, each with different weaponry. Each character had three weapons that were attributed to different buttons (X, Y, and B). As the title suggests, we had to charge our weapons to blast the enemies. Using the analog stick we moved our cursors around the screen targeting enemies. And to fire our weapons we pressed one of the three buttons (selecting a weapon) and once it was charged pressed the A button to release, hopefully nailing the enemy. This was confusing at first, but even after getting used to it, still cumbersome. Charge ‘N Blast grew stale quick. Lacking much of a setup, there was nothing but the quality of the gameplay to keep us interested, and we didn’t find the mechanics all that fun. However, I will return to the game and complete it as it seemed easy, and probably short. Formed by members of the highly influential shoot 'em up company Toaplan, Mars Matrix has a solid pedigree. 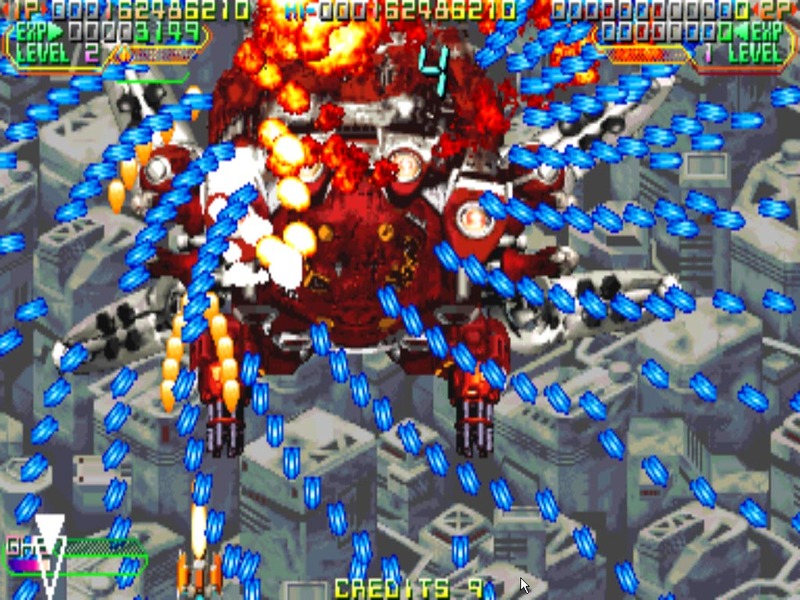 Ever since I was young, I’ve been a fan of shoot ‘em ups. Perhaps it’s because my dentist has had a Galaga arcade cabinet forever, and I’ve played on it since I was young. I was anticipating playing Mars Matrix for the Dreamcast, but after a friend and I played it for a little bit, I’m cool on it. Ever since the days of Galaga, shoot ‘em ups have become a little more complicated. Mars Matrix falls into the subgenre of the bullet hell shoot ‘em up. These games are typified by the insane amount of enemy bullets on-screen, literally hundreds to thousands, making it seem impossible. But it’s really not. With Mars Matrixit seemed my friend and I had to focus on dodging more than aiming at specific targets. While this may seem daunting, it gets a lot worse in Mars Matrix. After a bit of setup, we picked our ship, determining our standard weapon. Each ship’s standard weapon was different and we had the choice of mashing the fire button, or holding down an auto-fire button. This option was nice as it allowed us to focus on dodging. We also had a strong laser that had the same options. Lastly we could hold our fire button to create a barrier that would absorb enemy bullets and then fire them back, which proved useful when bullets covered the screen. Even though bullets covered the screen the majority of the time, I still thought the game looked rather poor. I’m not a technical wizard or anything, but Mars Matrix looked awfully blurry and I assume the game has a low resolution, causing this. There were a few different modes to select from; some multiplayer, some not, but what might bring me back is the shop. As my friend and I played we built up a cache of money that we could spend to unlock features in the shop. These honestly didn’t seem that great; unlocking Score Challenge stages or the ability to play with more lives, but it’s something else to do besides simply playing the game. My friend and I were only able to reach the second stage (out of six) and we really didn’t have a great time with the game. I will give the game a second chance and hopefully beat it, but I really don’t think I (or we) will have the drive to see it through the next time we play it. 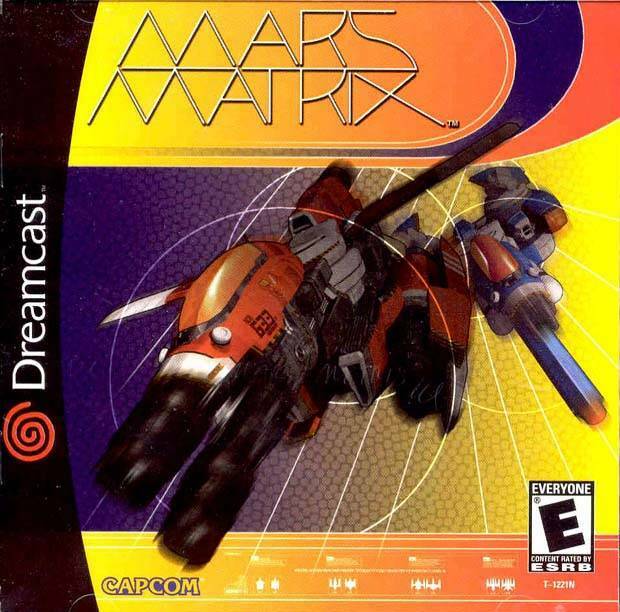 Mars Matrix was developed by Takumi Corporation and originally published by Capcom as an arcade game in 2000. My friend and I played the Dreamcast version which was published by Capcom in 2001. Ryudo Upfront with the Supporting Cast in the Background. With Grandia II, Game Arts took the formula they implemented in Grandia, simply iterated upon it, which works with me, I loved Grandia and it creates another fantastic Japanese role-playing game with a fun battle system and compelling story. Grandia II, as with Grandia, is set in a, mostly, bright and colorful world. If I were to condense the themes presented in Grandia, I’d say it focused on adventure and discovery, of exploring unknown territories and learning about new cultures. Grandia II on the other hand focuses more on our spiritual relationships and the role and impact of religion in the world. Grandia II is the story of Ryudo, a gun-for-hire and Elena, a songstress in the Church of Granas. Ryudo is hired to be her bodyguard, but things go awry early on and they soon learn that Valmar (the evil god and Granas’ opposite) could reawaken and bring destruction to their world, what’s more, Elena is possessed by a piece of Valmar, which manifests itself occasionally, and transforms Elena into Millenia. This shape shifting element is interesting and provides for a character that is the polar opposite of Elena, like Granas to Valmar. Throughout the game they meet new party members who give a taste of the different regions in the game and are generally likeable. 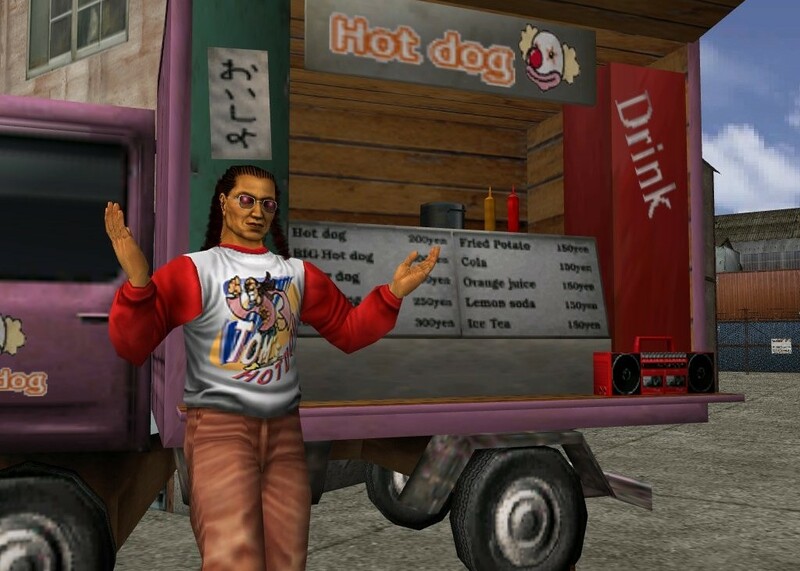 This wasn’t the case with Ryudo; at first he was a prick and very ignorant of others; the way he responded to peoples questions and concerns was off-putting, but as the game progressed, he became more comfortable with the people around him and as the on-going situations evolved, he revealed more about himself and became a more likeable character. Like, Grandia, Grandia II is light-hearted for the most part, with plenty of humor and fun gameplay, although the progression appears very formulaic, town, dungeon, town dungeon, etc. Throughout the game, the story unraveled more and more, finally reaching a crescendo of understanding and going pass that crescendo into a surprising twist in lore. Grandia II is a more succinct adventure than Grandia with the game lacking in extra content. There isn’t any reason to go back and play more when done , there isn’t a new game plus mode, and the way the game ends it’s sort of hard to anyways, which is a shame because as with Grandia, I would still go back and battle more If I could. The battle system, originating in Grandia takes turn-based battles, and added an element of real-time choice to it, creating a satisfying blend of action, which hit a spot in my psyche that loves being in control. The battle system has changed very little from Grandia. There are only a few things off the top of my head that I can think of that changed from Grandia to Grandia II. Instead of leveling up magic and special skills through use, you now attribute points to the individual moves. I thought it very clever in Grandia that special moves and magic leveled up and became stronger through use, thus, I used stat boosting/reducing spells more than I normally would in another JRPG. Also, instead of learning new magic spells by reaching certain requirements with certain elements of magic, in Grandia II you receive eggs which contain 18 preselected spells. There are more eggs than party members so there is always ample choice. Noriyuki Iwadare returns as the composer and I enjoy his soundtracks a great deal. They are lighthearted and fun, which matches the general tone of Grandia II. Although there are, darker sections of the game, his compositions match the feeling, often, if not always. Familiar tonal themes are repeated throughout the game, with the actual compositions changing up slightly. I can see many people listening to the soundtrack and thinking it is quite cheesy with his ample use of electrical guitar, but I find it befitting the action and look of the game. The appearance, like in Grandia, is very appealing to me; the game is very bright, set in a, mostly, colorful world, with anime-like character designs–this is from Japan after all. The voice acting is fine, although what bugs me is that it isn’t totally voice-acted, barely any is, and this inconsistency always bothers me. The CG is also infrequent, and in most cases, very poor. The CG for cutscenes is almost laughably bad and strangely grainy, but when it is implemented into the higher level magic and special moves, the blend of normal graphics and CG or animation provides a unique clash that, at first seemed off putting, but quickly grew on me. Grandia II was initially released on the Dreamcast in 2000, and then later ported to the PlayStation 2 and PC in 2002. I completed the Dreamcast version, played a bit of the PS2 version, and didn’t play the PC version. The Dreamcast version comes with a soundtrack CD that has twelve tracks of Grandia II related music, and I say related only because there are two remixes not present in the game. I enjoyed the selections and thought they provided a good cross section of Noriyuki Iwadare’s work here. 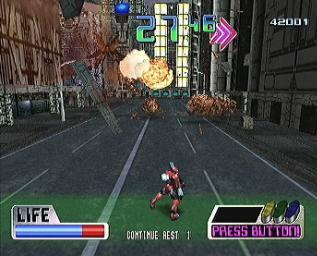 The PS2 version included new CG cutscenes which take advantage of the hardware better, but still have the aspect of clashing with other aspects of the game. I played the PS2 version on a PlayStation 3 and due to this the game looked much crisper; this would probably be the way to play it. The PS2 version didn’t come with anything extra although the manual is very detailed. 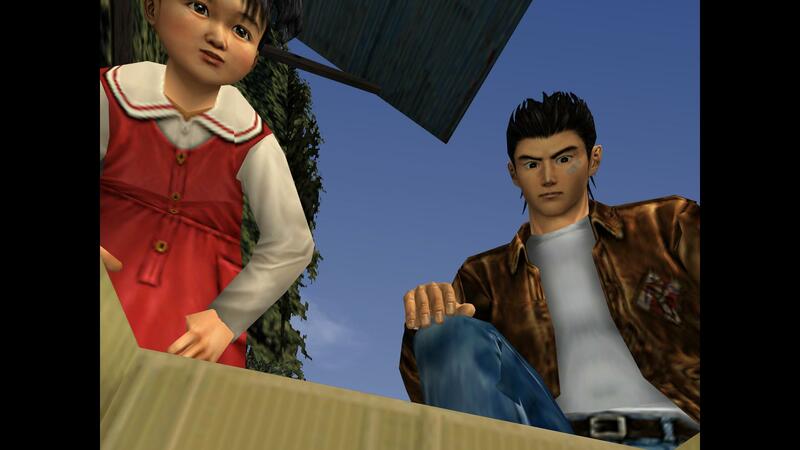 One of the main complaints against the PS2 version at its release was a poor port job, with the game hitching at times, I didn’t play very much of it, but did notice the game slowed down at points, but never when it mattered. Grandia II is one of the finest games on the Dreamcast, and a fine Japanese role-playing game. With a well paced story and an incredible battle system, it’s worth seeking out if you’re a fan of JRPGs.